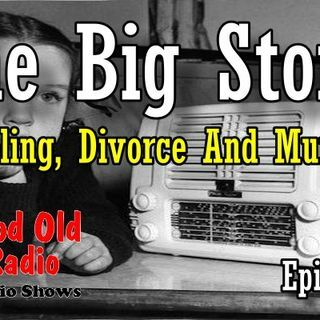 Today we feature The Big Story: Gambling, Divorce And Murder. sponsoring the last two seasons, it was broadcast until March 23, 1955. The ... See More radio series was top rated, rivaling Bing Crosbys Philco Radio Time. Produced by Barnard J. Prockter, the shows were scripted by Gail Ingram, Arnold Pearl and Max Ehrlich. Tom Victor and Harry Ingram directed the series. Gail and Harry Ingram were husband and wife. The theme was taken from Ein Heldenleben (A Heros Life), a tone poem by Richard Strauss. by the work of two newspaper reporters in Chicago. Most of the stories in the show dealt with stories about closed cases. More Than 300 Programs from the Golden Age.